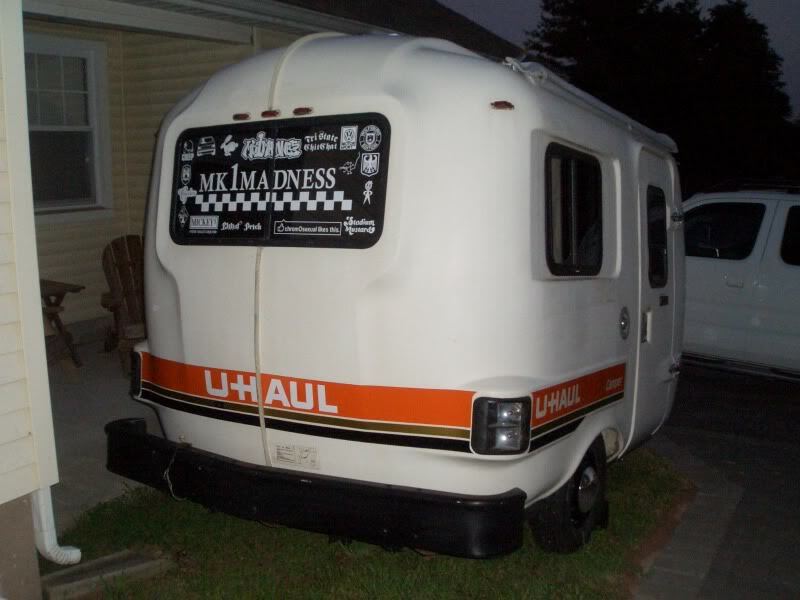 NJ | Trade Uhaul 13' camper for an enclosed car trailer? 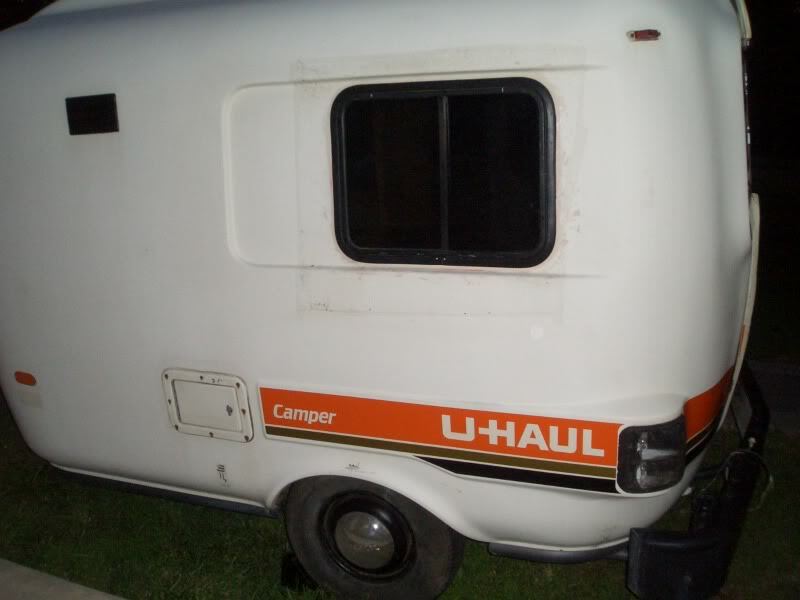 Trade Uhaul 13' camper for an enclosed car trailer? 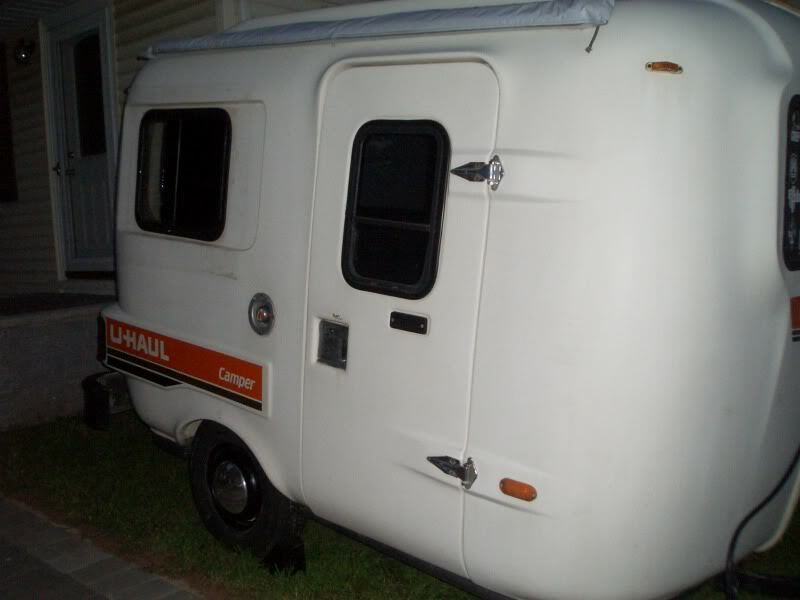 Looking to trade my 13' uhaul camper for an enclosed car trailer. Trailer will come with a box full of extras, a spare tire, all manuals, clean title & a pile of receipts.....I'm located in NJ, near the PA border, so please be somewhat local.........let me know if yer interested.....thanks. I have the tail light lens your missing... PM me if your interested. Not missing anything, thanks, I removed them to install all the striping & replace all of the bulbs. 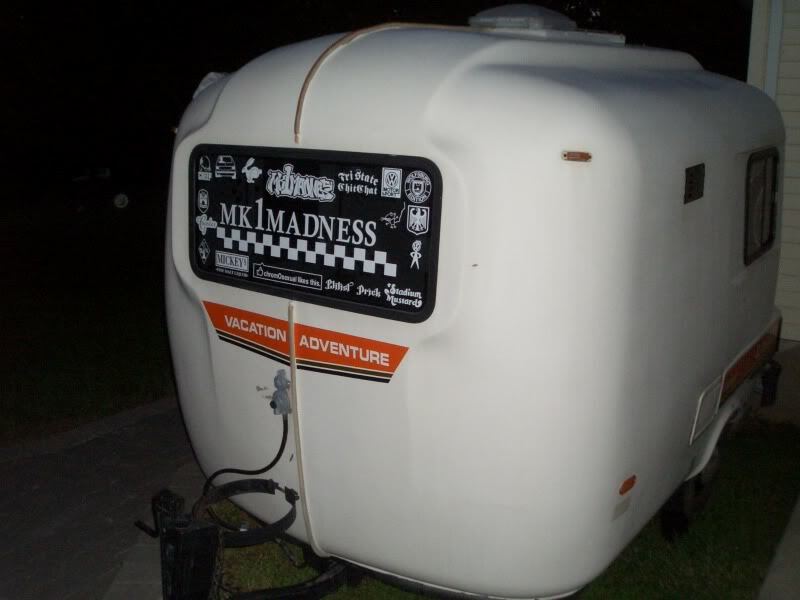 Hi, now my wife and I are looking to purchase a trailer. First of all, I see you are one of cloesest to us. We are in Syracuse, NY. That is 4 hours to the NJ-Pa border. Um, I see you are seeking to trade, what about for sale price? Second of all, we are not that local. Like I said, 4 hours from you. you're 221 miles from me. Hello, is everything working? Stove, heater, fridge etc... Can you send me some pics from the inside audetfrederic@videotron.ca. Willing to deive down this WE to visit. The year has to be either 1984, 1985 or 1986 since those were the only official years of manufacture. Manufacturing info should be on the aluminum plate under the reflector on the front left side of the trailer. Is there any way I can talk with because I would like to come down and see it. I am 6hrs drive from you so need to ask some questions before I drive down to NJ. If you have a chance I would like to see some inside pics.